Recently, I did something for the benefit of the people of the world. Um, no. I didn’t solve world peace. And no, I didn’t feed the hungry. And no, I didn’t sit the democrats and republicans down in a little room and not let them out until they got along (although I do maintain this could work if we searched them for weapons first and denied them access to snacks). No, instead I attempted to use self-tanner. Now, I’m sure you would like to know why this helps the world. Really, so do I. I mean, at the time I justified it as my attempt to not cause the planet – or at least the patrons of my local grocery – not to go snow-blind from the dazzling whiteness of my legs. It is summer, you know. And I will wear shorts. And before you ask, let me just say this: I’ve seen the National Enquirer. Even Charlize Theron has cellulite. Anyway, this is my diary of self-tanning. BTW, I did ask Junior to photograph my progress. Yeah, that didn’t go over well. Needless to say, he refused. And he might have called me insane. Day One: Scrupulously read every single direction on every single tube of self-tanner at Wal-Mart. Decide to go with the cheapest brand, because that’s the way I roll. Day Two: Shower. Smear myself with self-tanner. Very happy with my soon-to-be-tanned legs until I realize I forgot to wash my hands and now I will have self-tanned palms. Day Three: Shower. Smear self-tanner on legs and wash hands after. Feel very proud until I forget to allow my legs to dry and I sit down on white chair pad, turning it orange. Day Four: Examine legs before showering and am delighted to notice I am a tiny, itty-bitty, teeny-weeny, bit tan. Maybe like an ecru. Or ivory. Whatever, for me that’s tan. Am very ticked at Junior for refusing to photograph this triumph of mom over nature. Day Five: Shower. Shave legs. Apply self-tanner and realize that there is a large orange stripe where I missed shaving. Crap. Apparently all this time I’ve been self-tanning my leg hair. Yes, I probably should shave more often. But that’s not the point here, is it? Day Six: Forget to apply self-tanner. Still stripey looking. Day Seven: Apply self tanner, then realize that not only am I still striped, my knees are also bright orange. 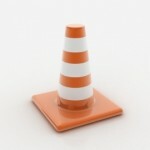 I’m talking traffic cone orange here. Not a good look, if you were wondering. Day Eight: Cover hideous orange knees and striped legs with black yoga pants despite triple digit heat. Day Nine: Convince myself that I am not anywhere near approaching Jersey Shore levels of orange. Get out of bed, get dressed and go to store. Am not surprised when small children scream and run from me. Now I know why Jwoww drinks so much. Day Ten: Vow never to wear self-tanner again. Day Eleven: Go to Sephora. Receive free sample of self-tanner. Silently sob through Macy’s and search in vain for a trash can to dispose of tanner. Day Twelve: Open Sephora sample. Smear on legs. Day Thirteen: Striped again. Sigh. WHy not just go tto the spray tan place? Remember the Friends episode where Ross uses the spray on tan salon? 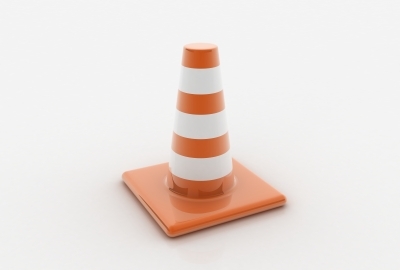 So,were you really traffic cone orange or Umphaloompa Snookie orange?